Quality,diverse selection there and I see you slipped your own in. Nice shots of Heinkels and the BSA. Thanks for sharing. Had the same Readspeed clutch in my TS1 for the last 5 years and its still fine. At a guess I would say the spec is "standard li 150 special with 12v electronic kit." Built and painted by the owner And he's done an excellent job,looks great. Cool as the drool on a hound dogs tool . Topic: Show us yer Photoshopped Scoots!! 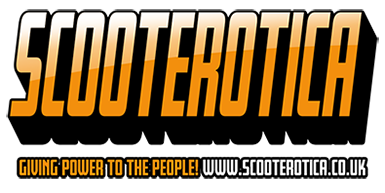 Re: Show us yer Photoshopped Scoots!! Topic: virgin restorer......in need of advice! Re: virgin restorer......in need of advice! Thanks for showing us yer FOO FOO. Not really an Iyal man myself. Prefer Elvers.